Have you ever wished there was another Texas punk band heavily inspired by black metal besides Skeleton? Your wish has been granted. Houston's own Crawler are bringing their spikes over studs approach to Kansas City this month for an exceedingly evil DIY gig. 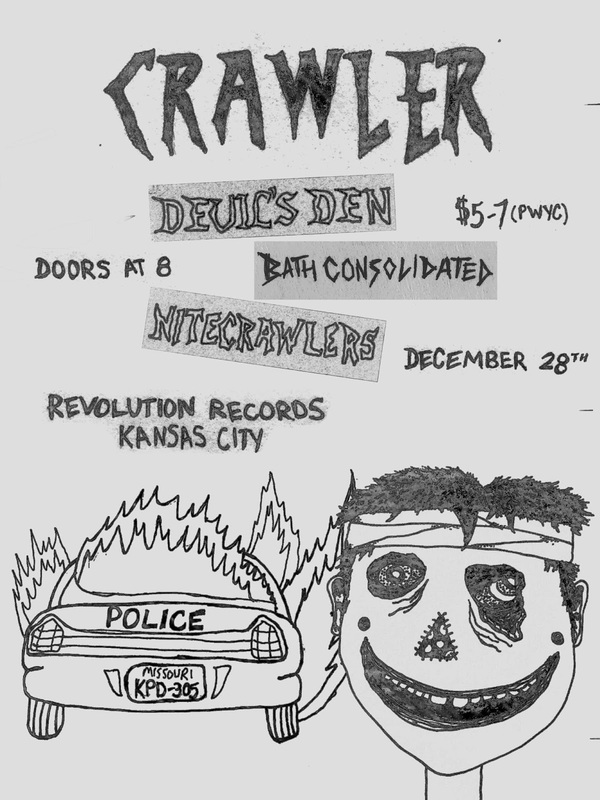 Joining them will be local acts Devil's Den, Bath Consolidated, and Nitecrawlers. 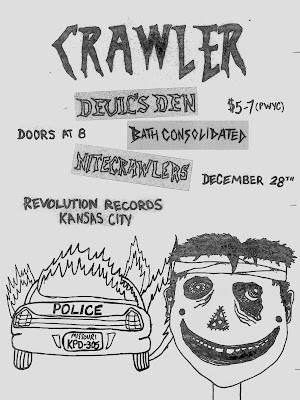 The show is December 28, 2018 at Revolution Records in Kansas City, Missouri. Doors open at 8 P.M. and music starts at 8:30 P.M.. A donation of $5-7 is suggested to help the touring band, but nobody will be turned away for a lack of funds. This is an all ages event. RSVP on the Facebook event and invite your friends (if you have any, it's okay if you don't).